The 2 missions are scheduled to launch from the Dombarovsky Cosmodrome near the small Russian town of Yasny, on the border with Kazakhstan. Picard is setting out to probe the Sun’s secrets while PRISMA-FFIORD will pave the way for spaceborne instruments of the future. The Picard spacecraft. Credits: CNES/Ill. D. Ducros. 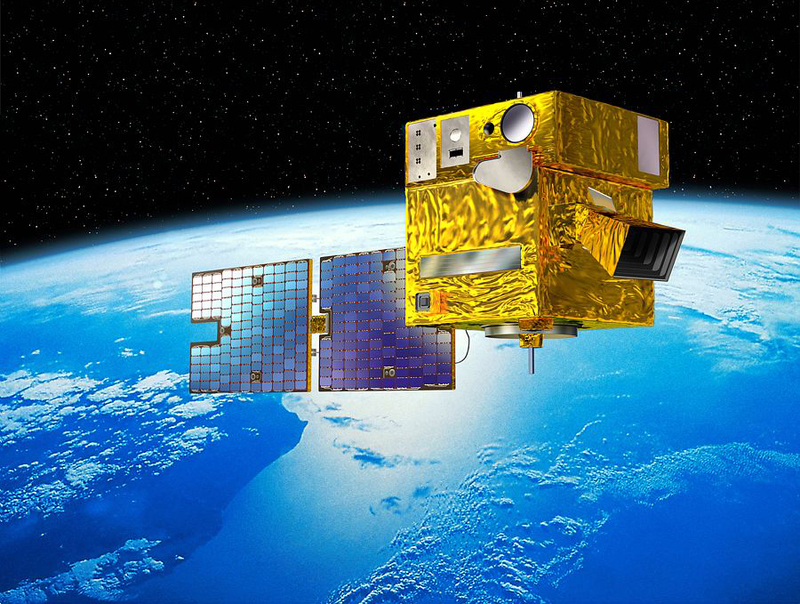 CNES’s Picard microsatellite is designed to simultaneously measure parameters such as the Sun’s speed of rotation, radiated power, sunspots, figure and diameter, in order to better understand its inner workings. The mission also intends to investigate the relationship between variations in solar activity and climate change here on Earth. And the microsatellite is expected to send back data needed to improve models used for forecasting solar activity. The Mission is dedicated to the study of the Earth' climate and Sun variability relationship. Credits : CNES. Tango and Mango, the 2 small satellites making up the PRISMA mission. Credits: ill. CNES. PRISMA is a Swedish mission to test formation flying and rendezvous manoeuvres and techniques in space. 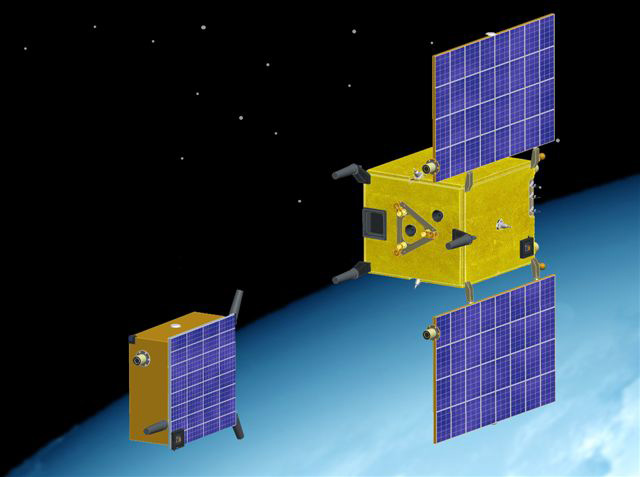 Two satellites will fly together in the same low-Earth orbit: Mango, the main spacecraft, and Tango, the target craft. Formation flying is the way ahead for space exploration missions, as it provides a way to fly a distributed instrument on several spacecraft. Take a space telescope, for example. The lens could be on one spacecraft and the sensors on other spacecraft, creating a giant instrument able to peer deeper into the Universe. Keeping this kind of configuration stable calls for highly precise orbital navigation and control technologies. The French FFIORD experiment on board PRISMA is a first step toward this objective. PRISMA is a "technology in-orbit testbed mission" for demonstrating formation flying and rendezvous technologies, as well as flight testing of sensor and actuator technologies. Credits : CNES.